The Collected Works of W. B. Yeats, Volume X: Later Articles and Reviews is part of a fourteen-volume series under the general editorship of eminent Yeats scholars Richard J. Finneran and George Mills Harper. This first complete edition includes virtually all of the Nobel laureate's published work, in authoritative texts and with extensive explanatory notes. Later Articles and Reviews consists of fifty-four prose pieces published between 1900 and Yeats's death in January 1939 and benefits from the notes and emendations of Yeats scholar Colton Johnson. The pieces collected here are occasional, and they reflect the many interests and engagements of Yeats in his maturity. No longer a reviewer or polemicist, Yeats is an international figure: a senator in the fledgling Irish state, a defining modern poet, a distinguished essayist. And here we have him writing -- with grace, wit, and passion -- on the state of Ireland in the world, on Irish language and Irish literature, on his artistic contemporaries, on the Abbey Theater, on divorce, on censorship, on his evolution as a poet and dramatist, on his own poetry. 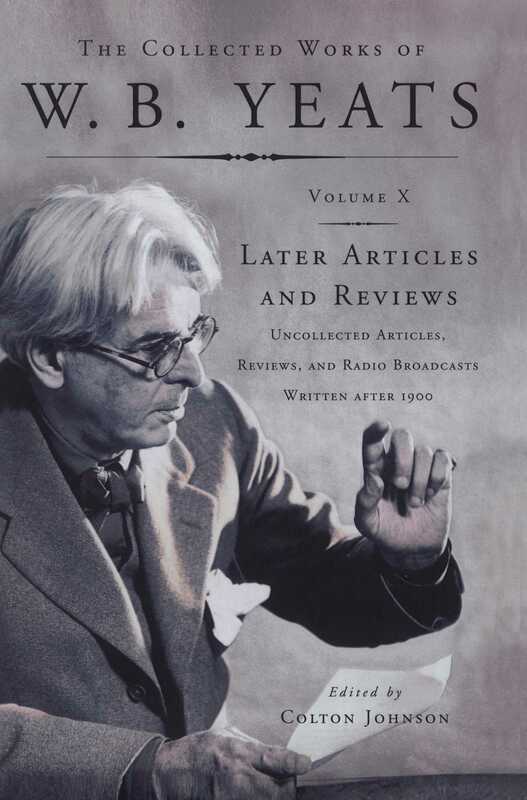 Volume X also includes texts of ten radio programs Yeats broadcast between 1931 and 1937. This is not only the first collection but also the first printing of Yeats's radio work, which constitutes the largest previously uncollected body of his writings and possibly the most important to remain largely unstudied. Carefully assembled from manuscripts, typescripts, broadcast scripts, and fragmentary recordings, the programs range from a scripted interview on contemporary issues to elaborate stagings of his own and others' poetry. 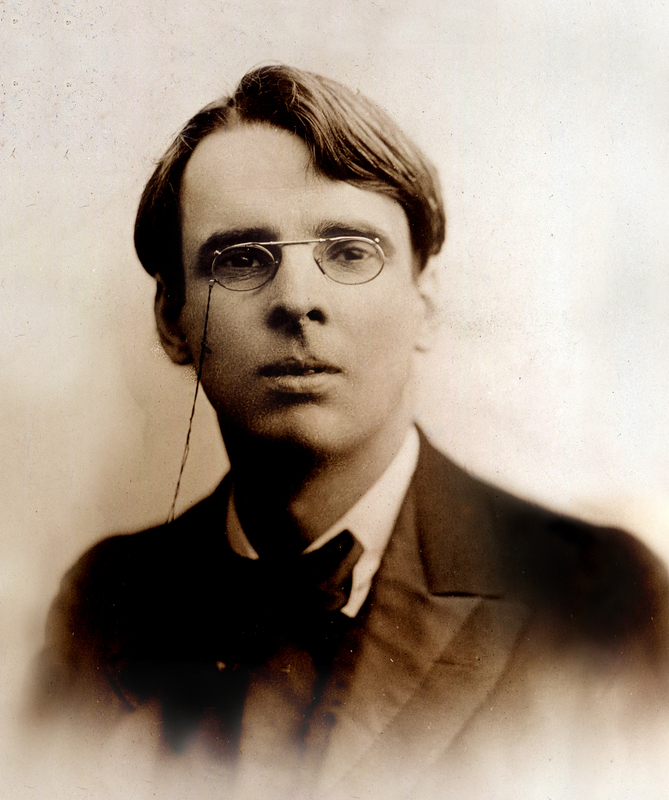 One of the radio programs is presented in an appendix complete with the commissioned musical score that set Yeats's poetry to music, Yeats's own emendations on the BBC broadcast script, and the diacritical notes with which the broadcast reader indicated Yeats's interpretive instructions. Here, then, is seasoned Yeats, writing and speaking vigorously and with keen personal insight about the modern age and his place in it.